Save an extra 10% using TRADEUP10 voucher code. 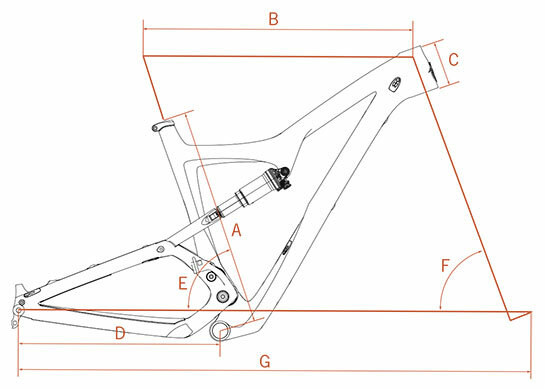 The Ibis Ripley LS is a 29" wheel trail bike with 120mm of rear wheel travel, mated to a 130mm travel front fork. This is the 3rd generation of the jack-of-all-trades Ibis Ripley LS, featuring an all new frame with increased stiffness and clearance for the new generation of 29" tires. The proven dual eccentric dw-link suspension keeps the tires in touch with the ground so your power is applied efficiently. The new swingarm accommodates the 2X Shimano side swing front derailleurs including Di2 (and of course 1X). The front derailleur mount doubles as a nice upper chain guide mount. Sunset Cycles offers the Ibis Ripley LS XT Werx 29er trail mountain bike in Ti-Ho Silver with up to 48 months 0% finance and free delivery.